The bear market in Treasurys is ongoing, which I do not view as particularly surprising. The usual way to generate excitement about the bond market is to claim that there will be horrific consequences if some technical level on the 10-year benchmark (or sometimes the 30-year benchmark) is reached. Although attention-seeking behaviour would probably get me more page views, I call them the way I see them. There is absolutely no reason for equity investors to care about what is happening in the Treasury market right now, and it would take something really big for that to change. I am in the final stages of producing a handbook on breakeven inflation analysis, and so I am not paying a great deal of attention to the day-to-day movements in bond yields. It is clear that the changes in personnel at the Fed has coincided with the beginning of an uptrend of bond yields. For those of us who are not deeply in love with New Keynesian economics, this is not surprising. Once we drop the largely unfalsifiable belief that the economy reacts violently to small changes in the expected path of the short rate, we see that the policy rate setting is to a certain extent discretionary. That is, we could have roughly the same economic outcome if the policy rate had been hiked at a less gradual pace over the past years. (There are some obvious disclaimers; a 75 basis point rate hike in a single meeting would legitimately cause a market freak out. 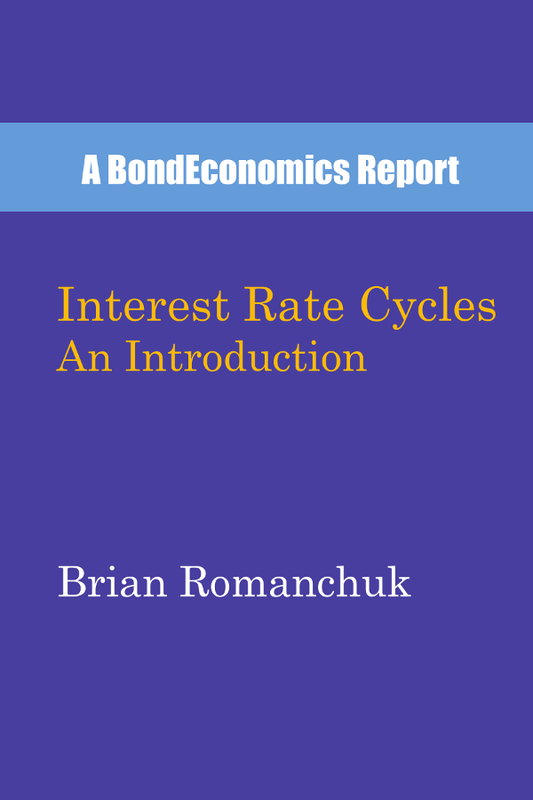 The 1994 bond bear market coincided with a rate hike cycle that featured 75 basis point hikes.) This means that personnel changes at the Fed matter more for the rate outlook than many models would suggest. If we look at the big picture, the 10-year Treasury is still moving towards the top end of a multi-year trading range, and still well below the 2010 peaks. I normally would not want to catch the falling knife of bond prices in the middle of a rate hike cycle unless I had reasons to believe that a recession is imminent, but at the same time, the pace of rate hikes is so glacial that it is hard to get excited about the bear case. Needless to say, I am glad that I am not providing bond yield forecasts at this juncture, and if I were being paid to do so, I would mainly be building recession probability indicators. Should anyone care about rising yields? I see no reason to do so, although I would note that I am not current with developments in U.S. real estate; if weakness develops there, interest rates will matter. However, I would argue that the reasonable strength of the labour market (discussed below) should trump interest rate effects for the housing market for a long time. In interests of space, I will only discuss the interaction of higher Treasury yields and equities; perhaps emerging markets are sensitive to higher Treasury yields, but I am definitely not the person to get views on that subject. From the perspective of an asset allocation, high grade bonds provide a laughably low guaranteed yield. If one is liability matching (as discussed recently), these low returns might be acceptable if we are immunising liabilities with a low hurdle rate. 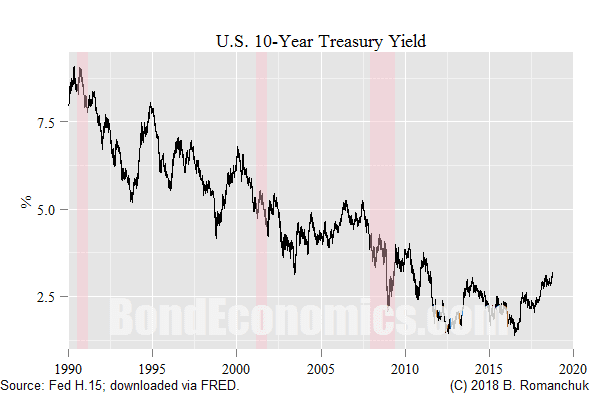 However, a significant portion of price determination is being done with an eye on long-term returns, and low Treasury yields are not even close to target return levels. If the rise in yields is the result of optimism about the economy, there is no need to allocate towards Treasury bonds to act as a portfolio hedge (which is the main justification for owning the things on a non-levered basis). Even during the worst of "secular stagnation," the steady state nominal GDP growth rate for the United States was hitting the 4% mark. Unless we believe that the U.S. is primed for recession (and it could be), prospective growth rates on a five year horizon swamps the nominal risk-free rate. The only real questions for equity valuations revolve around what we believe the equity risk premium will do (definitely do not ask me; I do not even like discussing risk premia in bond) and/or recession risk. If it were possible to send this chart back through time to 2010, the results would have been absolutely hilarious. Economists and market strategists would have been screaming about 7% inflation rates and 9% bond yields. Here is how inflation reacted. As can be seen, there are no realised aggregate inflation issues in the United States. None. Nada. Zilch. 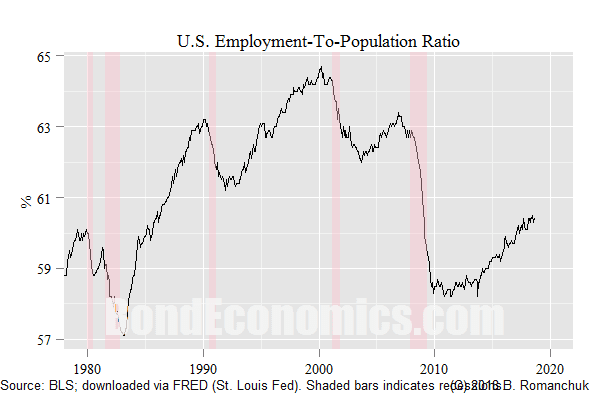 In the early post-cycle period, there was a big debate between believers in the unemployment rate as an indicator, and the employment-to-population ratio. "The employment-to-population ratio is misleading, because demographics," they said. Needless to say, that assessment was hopeless. Quiet inflation readings is exactly what the employment-to-population ratio would suggest would happen, and that is exactly what happened. I am not arguing that inflation is dead forever. As a result of segmentation in the labour market, I believe that it will be possible to achieve rising inflation in "hot" sectors/regions despite continued widespread underemployment in other sectors/regions, and this has certainly been happening since 2010. 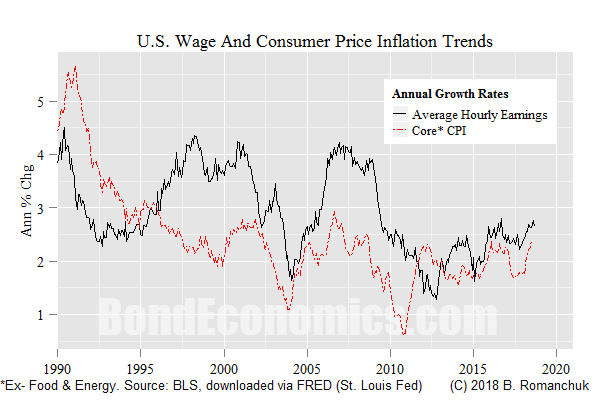 The issue is that we would really need to dig into the details to determine whether these hot sectors are big enough to move the needle on aggregate inflation rates. Although I will start discussing that subject more in my upcoming books, I do not have enough information to comment on that topic now. 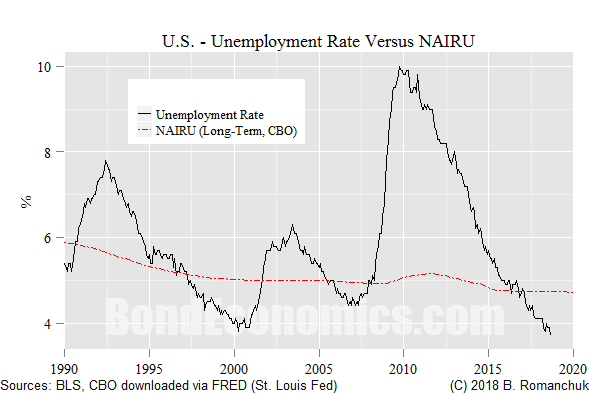 * Since I expect to get a comment from a regular reader, I will repeat that the failure of NAIRU is for a particular model, and does not imply that labour market pressures in a broad sense do not matter for inflation. great post as usual Brian - just about the best finance blog on the internet now, fair dues to you.